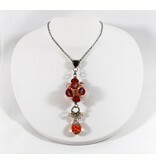 Glass necklace shaped with a blowtorch. 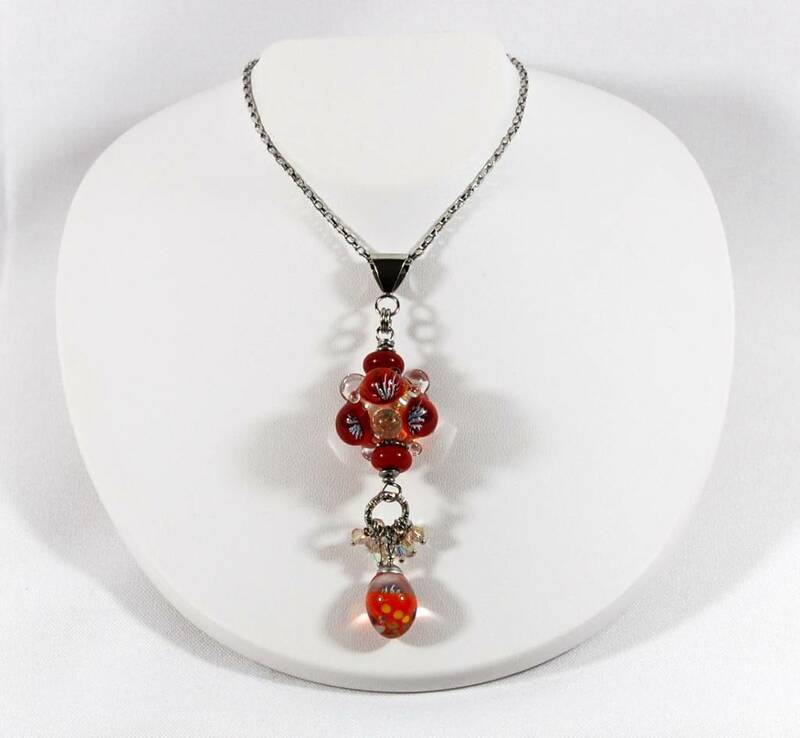 All jewelry are searchingly handmade with only high quality material, such as Murano glass.To assure the solitidy of the glass, all beads are kiln-annealed for durability and quality. Each bead is individualy inspected when taken out ouf the kiln and holes are cleaned before being sold. Each jewelry has been inspected to assure perfect working.